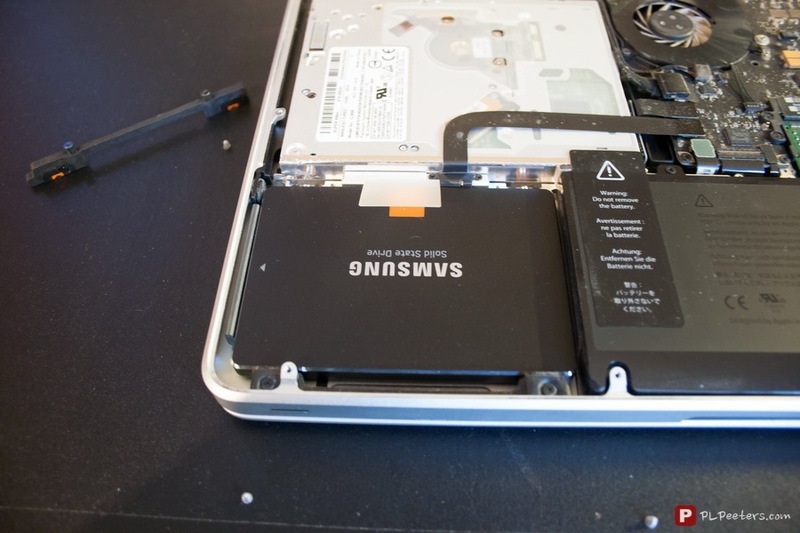 This tutorial will explain how to replace the hard drive in your MacBook with a new one. This normally takes around 15 minutes once everything is ready. You’ll see, it’s really simple. This post only applies to models of mid-2012 and before for the 13” and 15” versions and to the models of end-2011 and before for the 17” version. Models released after those dates should have an SSD by default, so the procedure simply isn’t relevant. 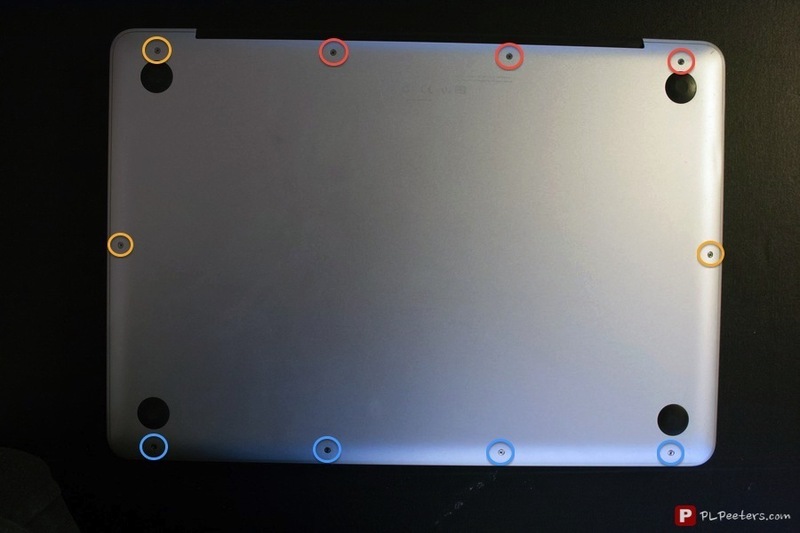 If you don’t know the model of your MacBook, head over to this page to find out. 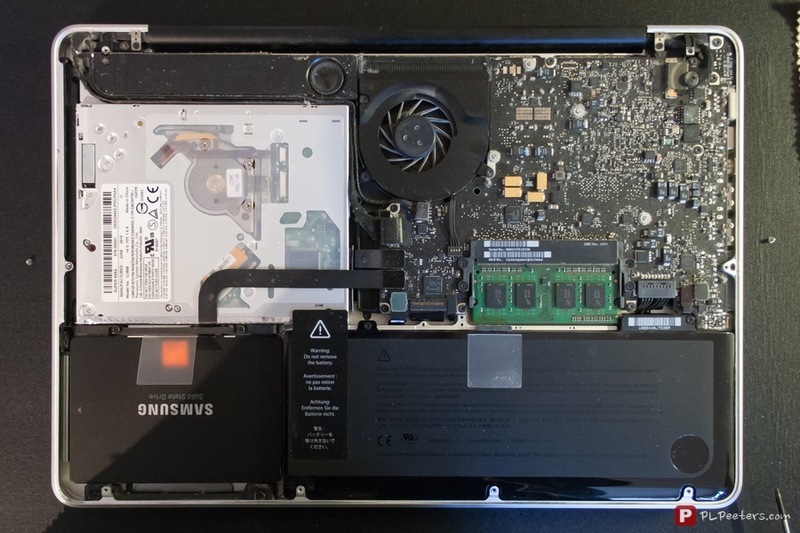 Changing your hard drive does not void your warranty, given you don’t damage your MacBook in the process, of course… This also goes for upgrading your RAM. I personally went for the cloning option, which is in my opinion the easiest and fastest method. By the way, you can even do your complete clone a few days before you upgrade your drive. You’ll just have to run it again just before the upgrade, which will copy only the files modified since the last clone. If everything works as expected, you can continue the tutorial. If you cloned your disk directly to your new SSD, you’ll be done with the tutorial after installing the disk. Once everything is ready, shut down your MacBook, wait a few minutes for it to cool down if it’s still hot, then flip it over and put it on an antistatic surface. Once all the screws are removed, simply lift the cover to remove it. You are now facing the internals of your MacBook. The part that interests us is obviously the hard drive, located in the bottom left (or the bottom right if your MacBook is a 17-inch). 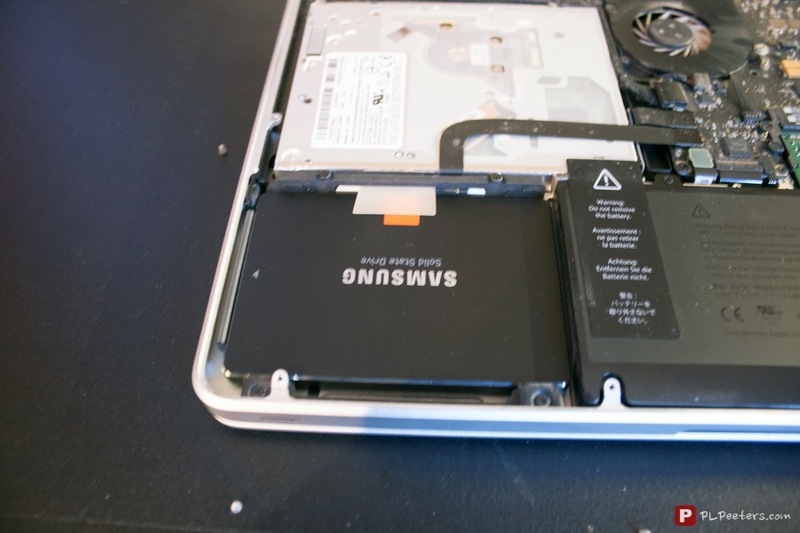 Before you continue, discharge your static electricity by touching a metal surface inside your MacBook (so, not the circuits), which leaves us with the casing of the Superdrive. 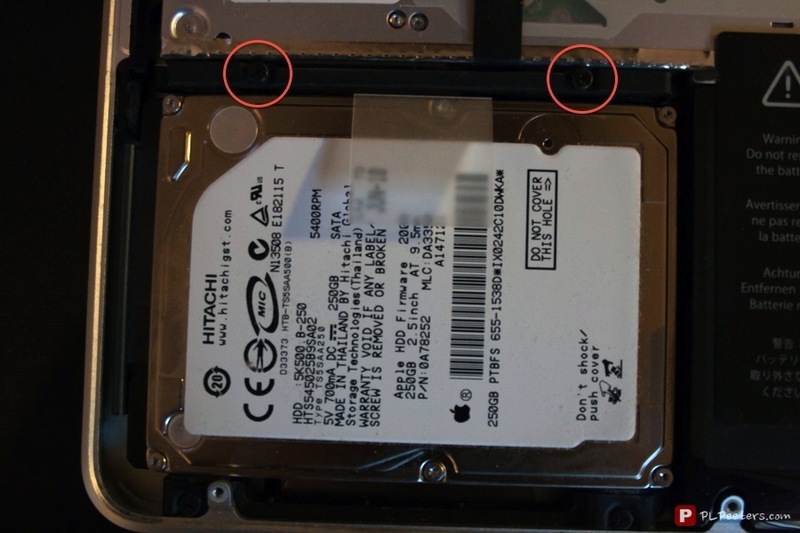 To free the hard drive from its bay, you must remove the two screws located on the retaining bar just above it, circled in red below. 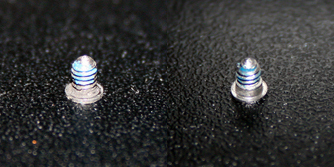 Note that these screws remain attached to the bar once unscrewed. 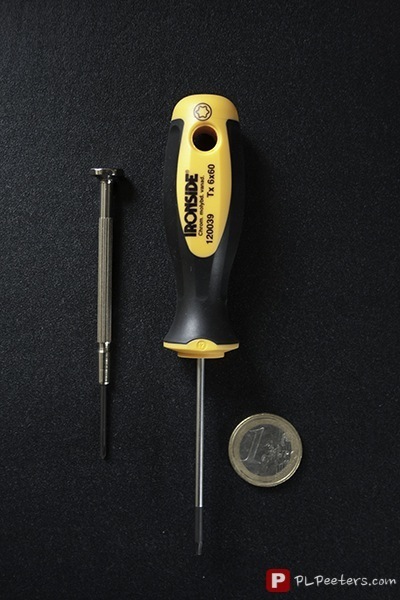 Once the screws are loose, remove the retaining bar and put it aside. Now just pull on the plastic tab to lift your drive up from the bay. This enables you to gently detach the SATA connector that connects your drive to the motherboard. Take care not to damage the SATA cable when you lift your drive or detach the connector. Always handle your hard drive by its sides. 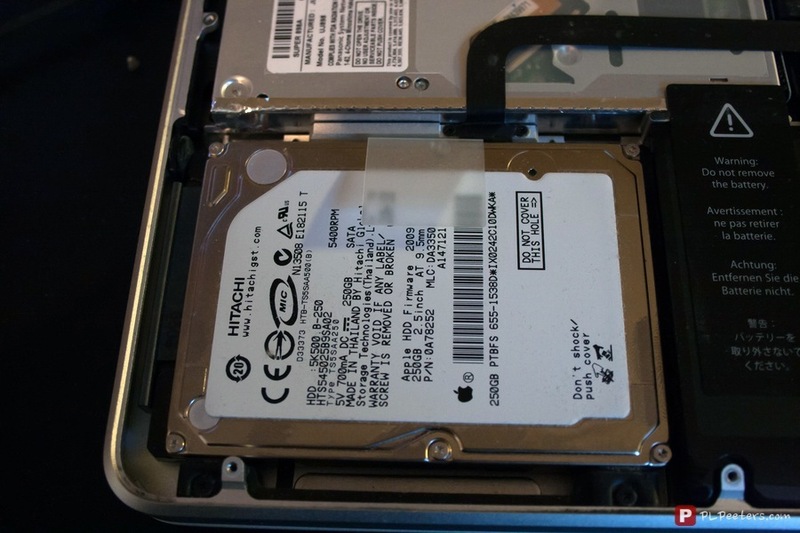 Once the drive is removed, you’ll need your Torx T6 screwdriver to unscrew the four Torx screws located on the sides of the hard drive, unless of course you received some with your new hard drive or it already has some installed. You guessed it: these four screws are to be mounted on the replacement drive. 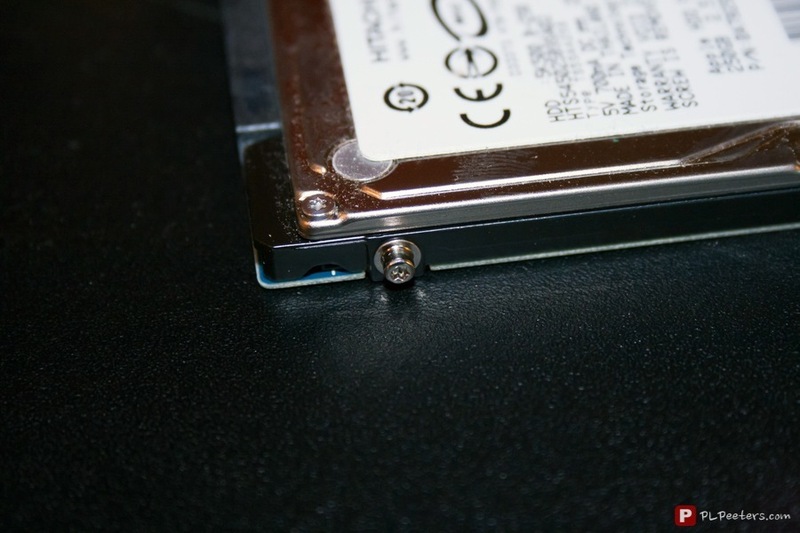 Once all the screws are in place on the new drive, orient it so that the connector is located to your left (or your right if you have a 17-inch MacBook). Now, gently peel the plastic tab off your old drive and stick it on the top side of the new one, just like it was on the old. Connect the SATA connector to the new drive and install it in the hard drive bay. To install it, you have to put the two bottom screws in the corresponding holes first and then let the others rest where the retaining bar was removed from earlier. Now that the new drive is installed, put the retaining bar back in place and tighten the screws. The only thing left to do is putting the cover back. As a reminder, long screws go in the top right holes, shoulder screws in the bottom holes and the others in the remaining ones. Note: if you are initialising your new drive over USB using a SATA to USB cable, skip the next two paragraphs. To initialise (format) your drive, you’ll have to boot either from your Carbon Copy Cloner clone or an install DVD or thumb drive (from now on, ‘install disk’ refers to those two methods). Whichever way you choose, connect the clone/drive or insert the DVD, then power up your MacBook while holding the alt (option) key. A menu will appear. Select your install disk or clone with the arrow keys and hit enter to boot from it. Your new drive is not recognised at this point; this is absolutely normal. When it finished booting, launch Disk Utility, which you can find in the main menu if you booted from an install disk, or in /Applications/Utilities/ if you booted on your clone. Once it’s launched, find your new drive on the left side and click on it. It is normally named with its capacity and size. In my case, it was named ‘250.06 GB Samsung SSD 840 Series Media’. Next, go to the Erase tab on the right, select the Mac OS Extended (Journaled) format, give the disk a name (I chose Macintosh SSD to change a little) and click on Erase…. Once the disk is formatted, check at the bottom of the window that the partition map scheme is GUID Partition Table. Now that your drive is initialised, the time has come to restore your data. If you opted for a clean install, launch the OS X installation from your install disk and follow the instructions. 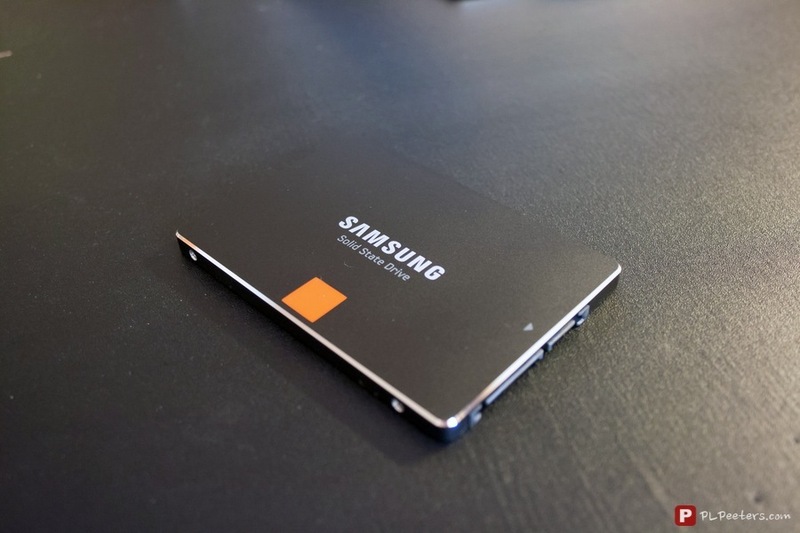 If you opted for a clone, launch Carbon Copy Cloner once you booted off your clone (which should be the case already), then clone the drive to your SSD just like you did before when you cloned your old drive. Once the drive is cloned back, just open up System Preferences, go to Startup and click on your new drive to ensure it is defined as the boot volume. Reboot, and you’re done. If you have any questions, don’t hesitate to ask them in the comments. 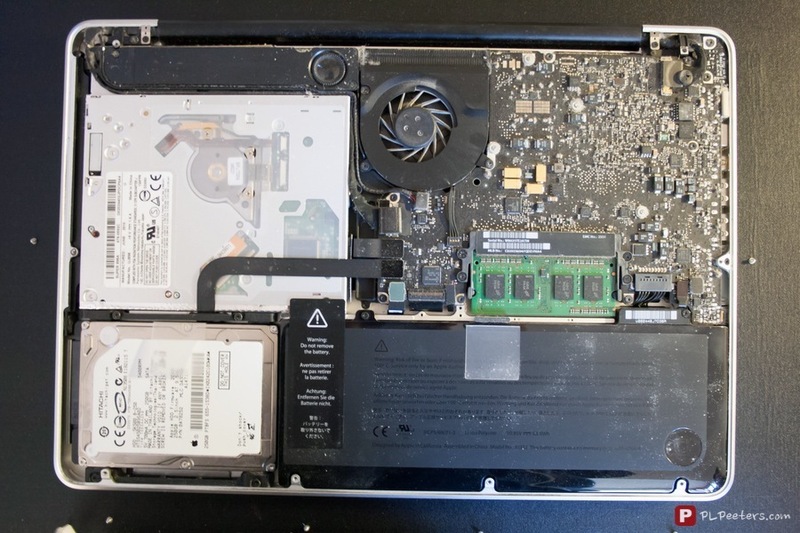 Replacing the Hard Drive of a MacBook With a Solid-State Drive by Pierre-Louis Peeters is licensed under a Creative Commons Attribution-NonCommercial 4.0 International License.